There are many facets of the Funeral ceremony that we insert personalization to commemorate the style of Life that was lived. As an example. We provide a Free FULL-COLOR CASKET PANEL for every family that we serve. They are made In-House and will have an image of the deceased with a graphic design to accent the casket. Our mission is to serve each family with the highest quality that we can to assist in creating a ceremony that will be a credit towards a healthy healing Process. In Summation, We cut NO CORNERS In our service to you. We have assembled a State of the Art casket selection room that consist of a modern approach to the selection of a quality casket. Our Selection room does not have Caskets that are hanging down from Large Obtrusive Racks but are simply cut in quarters and shown in an elegant soft light along with fabric samples and Images. The Rucker’s Mortuary Family of Funeral Directors have served the San Fernando Valley and Greater Los Angeles area for over 65 years. Although there may be other Funeral Homes with similar services, Rucker’s Mortuary is The only Funeral Home owned 100% by the Rucker’s family. Polished granite is also one of the most durable products of nature. 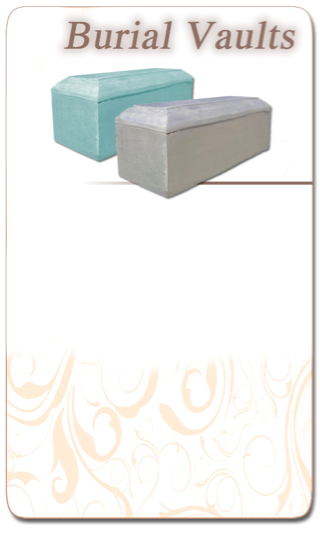 Earthman offers granite memorials in a variety of color variations. Memorials and markers come with a granite base and provide a beautiful and lasting tribute that can be personalized in many ways. Choose from individual memorials that mark a single grave or lawn crypt, companion memorials that are used for side-by-side spaces or vertical companion memorials that are used to mark double-depth graves or lawn crypts. You may also choose a memorial with a vase that allows your loved ones to bring and display flowers at a visit. The burial vault is a sealed outer burial receptacle which protects against moisture, the weight of the earth, and the elements, in a subsoil situation.The most common form of interment today remains underground burial. Many cemeteries require the use of an outer burial receptacle designed to receive the casket and capable of withstanding the weight and pressures of the earth above and around it. This requirement is essential for the beautification and continued maintenance of the grave and the cemetery. Ask about the many options we have available for protecting the remains of your loved ones.